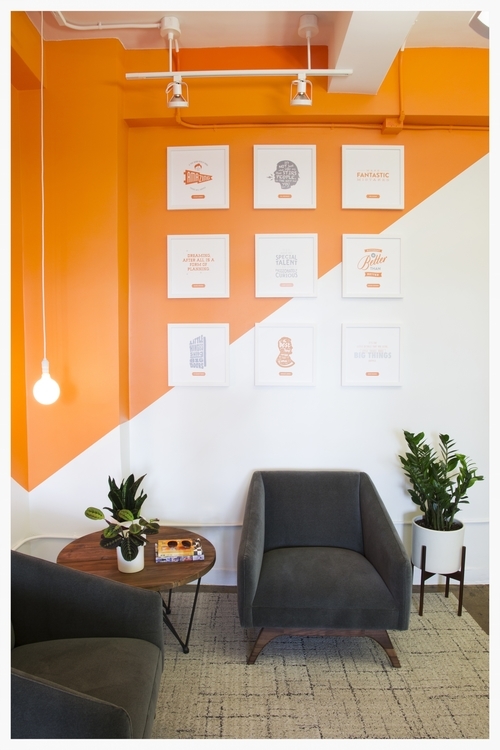 Danielle Arps, a talented designer of office space, has incorporated bright and fun design features to Day One Agency’s Chelsea office. 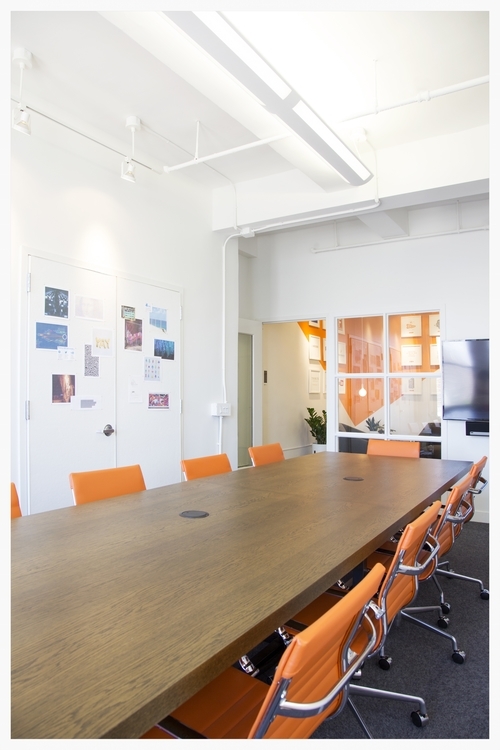 Located directly across the Fashion Institute of Technology at 307 Seventh Avenue, Day One Agency, a communication and marketing agency, has been successful creating an office environment conducive towards higher work productivity. Along with the usual loft-like feel of exposed ceilings, polished concrete floors, and open space, there are added elements that bring in some airy outdoor concepts indoors. 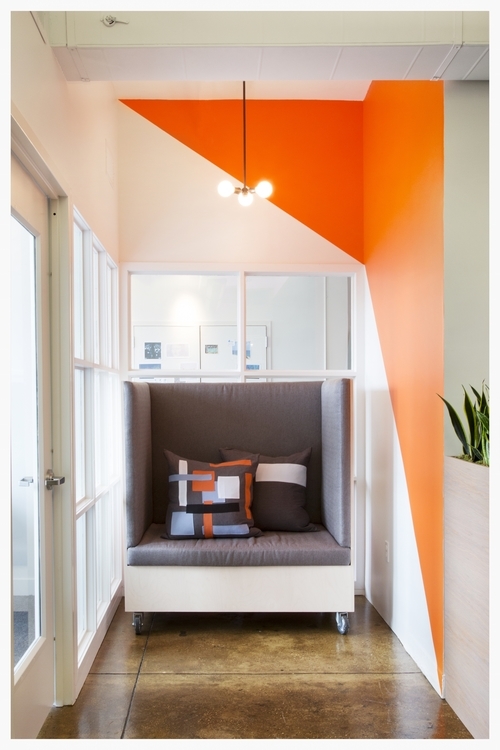 This Chelsea office also features decorative glass-fronted offices, vibrant orange accents throughout, oak / white colored furniture, and sleek cubicle-style couches on wheels. 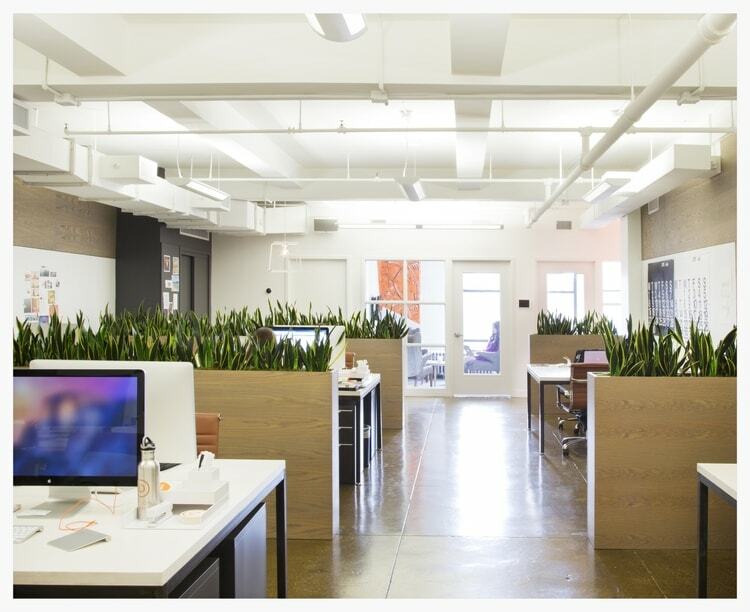 There are also rows of office plants placed as partitions in the open area, in order to create a bit more privacy without the stale cubicle feel. 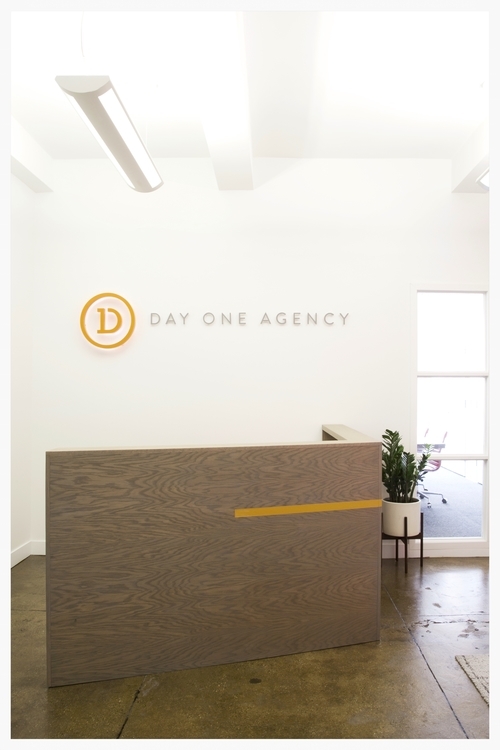 Danielle Arps certainly brings a creative, yet practical design to Day One Agency’s New York office location.